I think it has been since May since I shot any crab apple trees. I needed a break, and the clouds were a nice pallet cleanser. 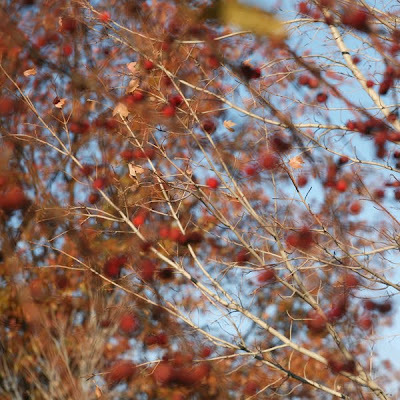 This shot is different from many of my crab apple photos since it is actually the tree behind the crabs that is in focus. I like that this shot has the suspended in jelly feel to it.